Betweenness centrality measures the potential or power of a node to control the communication over the network under the assumption that information flows primarily over the shortest paths between pair of nodes. The removal of a node with highest betweenness from the network will most disrupt communications between other nodes because it lies on the largest number of paths. A large network can be thought of as inter-connection between smaller networks by means of different graph operations. Thus the structure of a composite graph can be studied by analysing its component graphs. 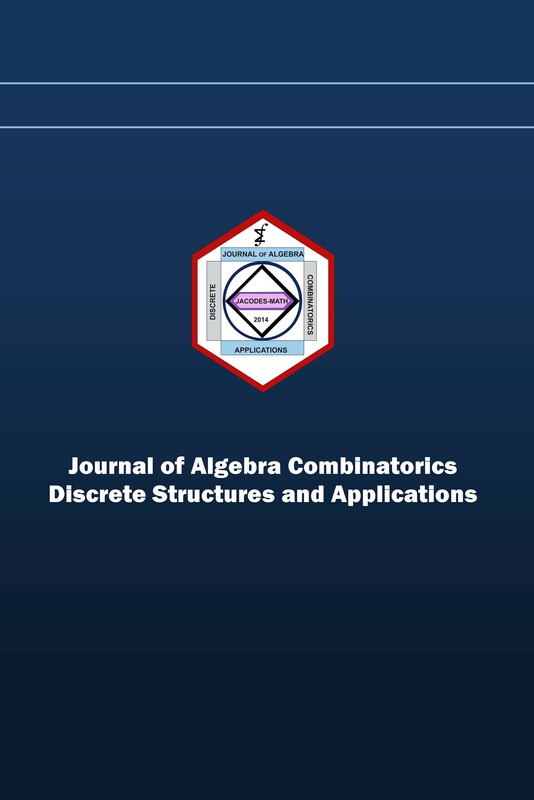 In this paper we present the betweenness centrality of some classes of composite graphs constructed by the graph operation called amalgamation or merging. A. Bavelas, A mathematical model for group structures, Human Organization 7, Appl. Anthropol. 7(3) (1948) 16–30. U. Brandes, A faster algorithm for betweenness centrality, J. Math. Sociol. 25(2) (2001) 163–177. L. C. Freeman, A set of measures of centrality based on betweenness, Sociometry 40(1) (1977) 35–41. R. Frucht, F. Haray, On the corona of two graphs, Aequationes Math. 4(3) (1970) 322–325. J. A. Gallian, A dynamic survey of graph labeling, Electron. J. Combin. (2009) 1–219. F. Harary, The number of linear, directed, rooted, and connected graphs, Trans. Amer. Math. Soc. 78(2) (1955) 445–463. S. Kumar, K. Balakrishnan, M. Jathavedan, Betweenness centrality in some classes of graphs, Int. J. Comb. 2014 (2014) 1–12. S. Kumar, K. Balakrishnan, On the number of geodesics of Petersen graph $ GP (n, 2)$, Electronic Notes in Discrete Mathematics 63 (2017) 295–302. S.-C. Shee, Y.-S. Ho, The cordiality of one-point union of n copies of a graph, Discrete Math. 117(1–3) (1993) 225–243.